Center for Molecular Medicine, Germany. 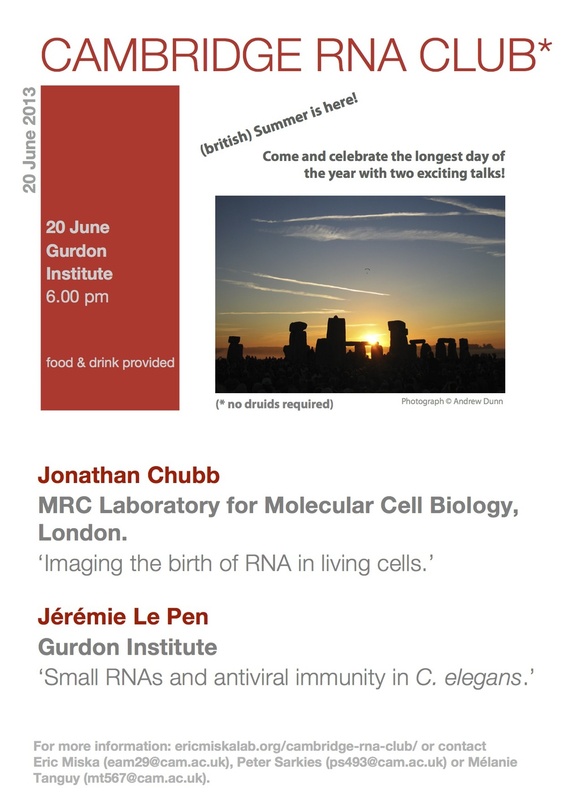 A return to pizza and drinks in the Gurdon Institute Tearoom for the RNA Club's first talk of 2014. A focus on antiviral immunity and RNAi! Frank Jiggins, Department of Genetics. João Marques , UFMG, Belo Horizonte, Brasil. 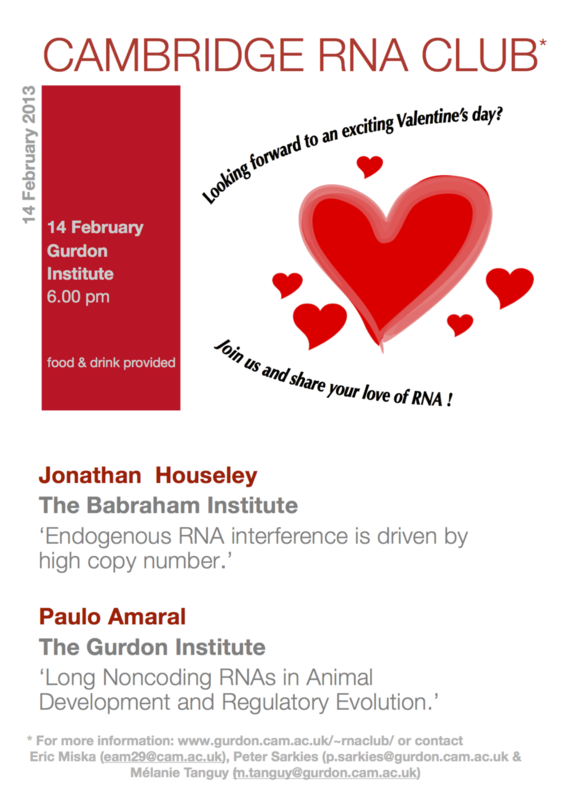 Next Cambrigde RNA club on Valentine's Day.